If you were wondering what happened to Liam, the iPhone disassembly robot that Apple showed us a couple of years ago, we now have the answer – he’s been replaced. Apple has a new robot to share, this time named Daisy, with Apple claiming that it is “the most efficient way to reclaim more of the valuable materials stored in iPhone.” This is based on the robot’s ability to take apart 200 iPhones an hour while also sorting the parts it is left with. Apple has also released a video of Daisy in action alongside adding Earth Day donations via its GiveBack program to the non-profit Conservation International. The program allows customers to take their old devices to Apple Stores, or send them in via Apple.com, and have them be recycled. Customers who hand in more recent devices will also receive store credit, perfect for upgrading to something a little newer when the time comes. Liam isn’t forgotten though – Apple says that Daisy is actually based on its predecessor, although it is more capable than the robot that caused a stir when shown to the world two years ago. 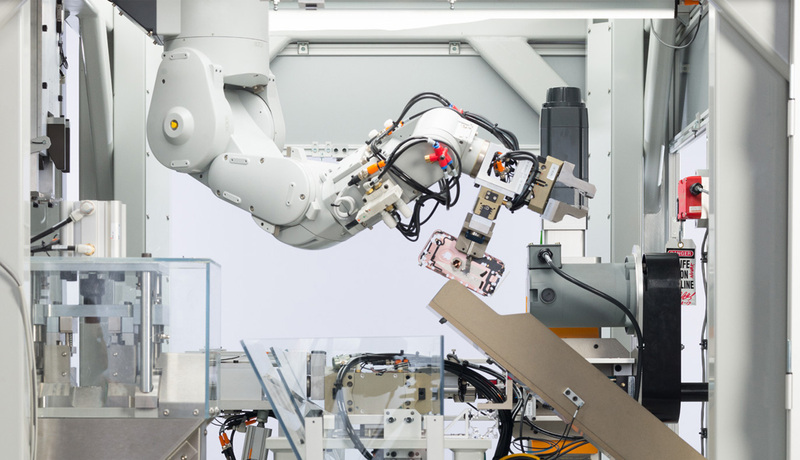 Apple’s newest disassembly robot, Daisy, is the most efficient way to reclaim more of the valuable materials stored in iPhone. Created through years of R&D, Daisy incorporates revolutionary technology based on Apple’s learnings from Liam, its first disassembly robot launched in 2016. Daisy is made from some of Liam’s parts and is capable of disassembling nine versions of iPhone and sorting their high-quality components for recycling. Daisy can take apart up to 200 iPhone devices per hour, removing and sorting components, so that Apple can recover materials that traditional recyclers can’t — and at a higher quality. Recycling is already cool, and helping to save the planet is even cooler. Doing it by employing robots that can dismantle iPhones at a mind boggling rate is pretty amazing, it has to be said. There goes another robot taking jobs away from people. Yeah, it would be a highly desirable job, disassembling iPhones, day after day after day after day. Instead of protecting a worthless job because “robots”, how about focus on the free market and capitalism principles that drives humanity forward? It is the federal reserve devalauating our country’s monetary value and the future of our generations to come, illegally, and unconstitutionally. Banning a gas pedal becasue there are drunk driver deaths year round is the equivalent of banning robots becasue “jobs”, it is stupid. Corps are doing what all of us would do if we were business owners, don’t blame them, blame the Vatican controlled Federal Reserve that everyone passively accepts it as “part of our lives” which is b*llsh*t.